The benefits of switching to an LED light system seem irrefutable, causing more and more RV owners to make the switch. The upfront investment is perhaps the biggest deterrent against actually making the transition, but increased demand for LED products driving lower prices might make the switch more affordable than you think. But making the decision to change over to LED lights is just the start. What Even Are LED Lights? What’s All The Fuss About? Abundant information available from previous customers. Do not underestimate the power of an installation guide tailored to your specific unit. This company seems to especially care to the packaging of their products, lessening the chance of damage in-transit. It’s hard to find a downside to this unit. One reviewer wrote that the light was actually too bright for him, so there you go. This tried and tested favorite is as reliable as it is easy to install. The sheer volume of user-submitted information makes this listing particularly juicy. Detailed customer reviews, complete with step-by-step installation pictures and instructions, provide better help than most customer service departments. One-year warranty guarantee. The listing states that they take full responsibility for customer satisfaction and to contact them with any product issues or if you’re unhappy with your purchase. This light should last you well over a year, but it’s good to have the assurance either way. The different shape of this lighting option allows for some versatility. While this might not replace your main overhead lights, this could open up some possibilities for other places such as inside or above cabinets, or in small storage spaces. Minimalist style. Unlike some LED bar lights that are an eyesore if not tucked out of sight, these sleek, white bars are actually rather aesthetically pleasing. The color temperature of this unit isn’t listed, so if the color of the lights you’re buying is very important to you, you may have to do some deep digging in the contents to figure out exactly what color temperatures these run. Despite only being $14, this is actually a 2-pack, giving you twice the lumens for almost the same price as an overhead dome. This option comes with expert installation for an additional price, so if installing on your own is totally overwhelming to you, this might be a good option. This listing offers a variety of bulb sizes and types, allowing you to match to your specific bulb that needs replacing. 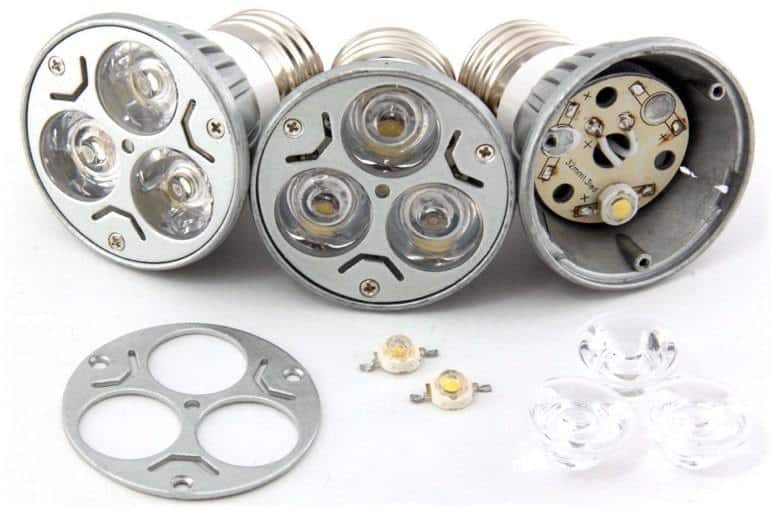 This listing also offers a variety of pack sizes, so that you can purchase exactly the amount of replacement LED bulbs you need. There are a fair amount of negative reviews stating that the lights they were shipped were faulty upon arrival. This is no doubt frustrating, so is something you should consider, however, with Amazon’s very forgiving return policy, this might not be a bad bet. This unit also offers expert installation for an additional price. Something to consider if you’re not very mechanically inclined. If you’re still on the fence about switching over to LED lights for your RV, now is a good time to take a look at both sides of the equation and make an informed decision. 70,000-hour life expectancy, that’s a pretty incredible claim. This unit has a smaller, sleeker profile than the more traditional overhead dome light. Less spec information available. Even the dimensions of the unit were found in the reviews and not in the product description. This slightly-smaller alternative still packs quite a powerful punch and an even longer estimated lifespan. Just make sure to measure your fittings to make sure these sleek fixtures will fit properly into your RV. Style, these light fixtures are undoubtedly more design-conscious than their larger domed counterparts. This modern alternative to the double-sided dome can make an RV feel much more like a home. Since the lumen capacity is divided into multiple smaller units, you can have more lights in the same space, providing more even coverage throughout. If you select this option, take note that each of these lights outputs about half the lumens of the other dual overhead light options, so you’ll need approximately twice the fixtures for the same amount of light. Fortunately, these are also much smaller, so they end up taking up the same amount of space, but this also means double the installation. Be prepared for twice the hassle during installation than you would expect for the other domed options. These units do not have an on/off switch on the unit, but rather connect to a main power switch like in a home. This is a plus for some and a minus for other, but either way is something to be aware of, as it could drastically change the functionality of some spaces. For a more modern look, these ultra-slim recessed lights pack some heat in a seriously small package. Installation can be tricky depending on your current setup, but these fixtures are especially appealing to newer RV models as well as tiny home and camper builders, as they provide overhead light with virtually no overhead clearance, a big benefit for little spaces. These lights come with two finish options, again allowing for much more design-conscious lighting fixtures and an overall more aesthetic look. This seller also offers the “soft white light” alternative to these lights. Since you’re purchasing 5 lights at a time, you get a small bulk discount when compared with the other options. This option also comes with a one-year satisfaction guarantee, giving you extra peace of mind about your purchase. 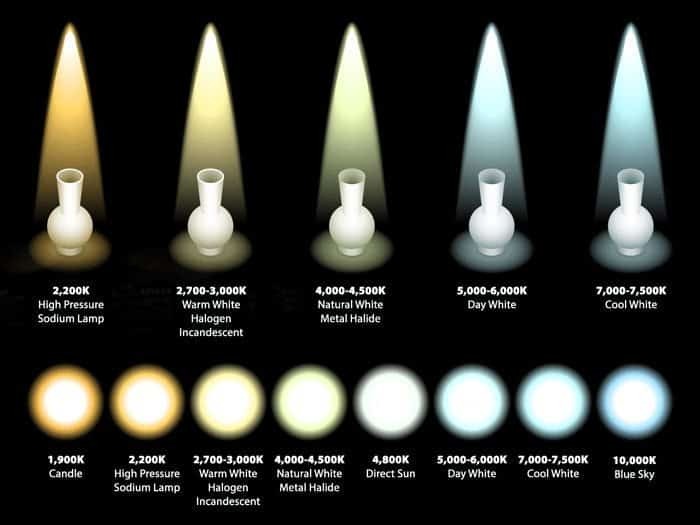 Despite, being listed as a high-temp “natural white” light, there are some comments criticizing the light’s yellow glow. This could be an individual unit defect, or perhaps an issue with the overall design of the product. Comes with detailed instructions and all hardware necessary for installation. With the vast range of options and seemingly infinite decisions to make, purchasing and installing an RV LED light system can be an intimidating task. Lucky for you, we’ve wasted money on enough lights that don’t work so that we can help you buy ones that do. If you’re overwhelmed with options, take a look at our purchasing guide below. In it, we’ll walk you through a couple of our favorite LED light system options and the details of each, so that you can make the most informed purchasing decision possible. LEDs, or Light Emitting Diodes, are extremely energy efficient and use up to 90% less energy than incandescent bulbs. That energy efficiency means extreme savings in your power bill. But LEDs aren’t the only alternative to incandescents, there are also fluorescent and halogen options, so why not use them? These were the first alternatives to incandescents and as such, they feel a bit dated. Many people still struggle with the slow warm-up time of these lighting options, as well as the much higher wattage necessary to produce the same lumens when compared to LEDs. Halogens, on the other hand, are actually very similar to incandescents, and as such are very affordable. Upfront. Their lifespan is somewhat abysmal compared to LEDs, so the overall investment of this lighting system ends up costing much more than an LED light system. Which brings us to LEDs, our hands-down recommendation for upgrading your RV interior lighting. While LED technology has been around for decades, only recently has it been adapted into products for RVs. With the current vast market of products, there truly is an LED option for every light in your RV, and the installation is as easy as changing a lightbulb. The lifespan of LED lights varies but each bulb can last decades, this is where cost becomes a big factor. Price tends to be a big roadblock stopping people from switching to RV LED light systems, as the upfront cost of LED lights is higher than some alternatives. If you look at the long-term investment, though, you’ll find that LED lights are actually the more affordable option. A $10 bulb that lasts 20 years is a better buy than a $1 bulb that needs replacing every year for 20 years. Another rather surprising bonus of LED lights is that they emit a cleaner, more vibrant, warm light, that many people believe improves the overall look of their RV interiors. They also come in several color ranges, allowing you to select the exact type of light you find best suited for your space. The light they emit also tends to burn cooler, and the fixtures themselves don’t seem to heat up the way traditional light fixtures tend to when left on for extended periods of time. LED lights have some particularly nice features for RV dwellers. One is that LED lights thrive in cold temperature, and perform efficiently even in extreme colds. Another is their durability. Without the fragile components of a traditional light bulb, LED lights are much more adept at withstanding impacts and vibrations. As we’ve mentioned, the only real downside is the price. 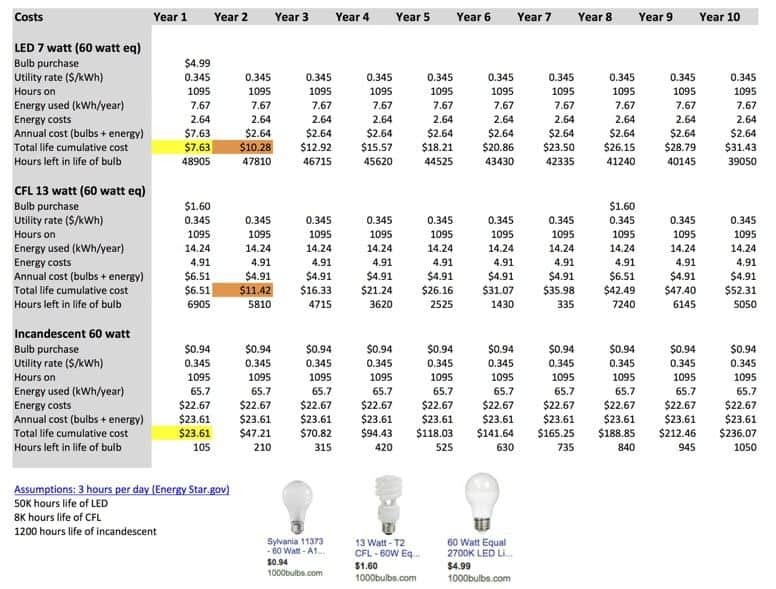 If you’re still not sure if LED lights are worth a $5 bulb, I recommend taking a look at the following chart. Here you’ll see that LED lights are not just about long-term savings, they’re about savings. 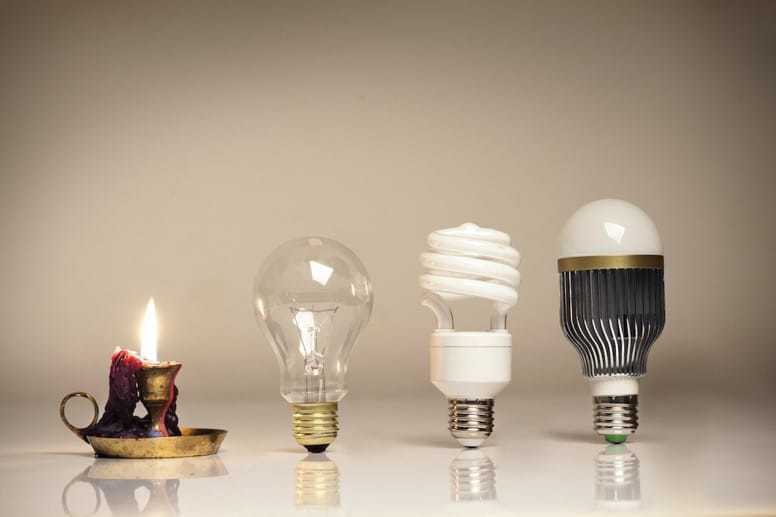 Even within the first year, you’ll see enormous savings over incandescents, and within the second year over fluorescents. The savings continue to pile up over the years, making this switch incredibly affordable. 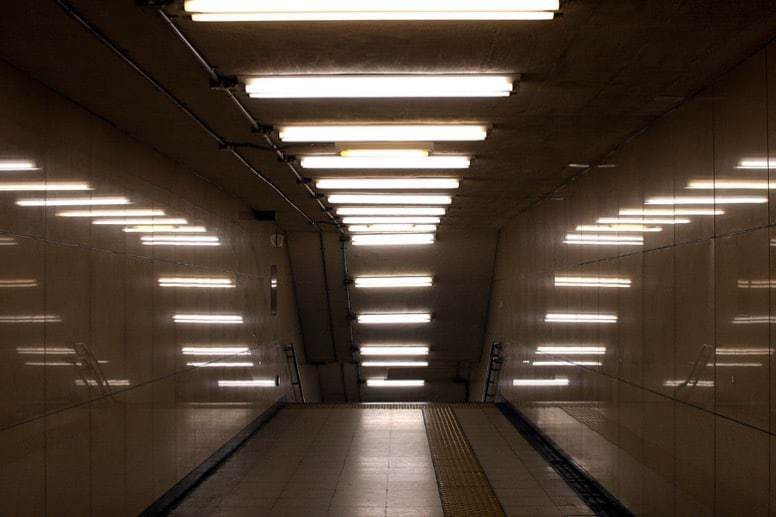 As mentioned, one of the benefits of LED light systems is that they’ve become so in demand, that supply has caught up. That means that there is almost every type of LED light you could possibly want, likely available at the click of your cursor. LED ceiling lights are available in a wide range of styles, finishes, sizes, and designs. Ranging from simple and functional to abstract and artistic, your ceiling light doesn’t have to lose out on style when you make the switch to LEDs. Most of your RV ceiling lights should probably have minimal embellishments to take up less headspace, but spaces such as over countertops, desks, or tables pose the opportunity to include designer details to your interior decor. Dome lighting is extremely common in RV spaces, which makes this a great option for your RV LED light system. Often, you’ll be able to find a near identical LED light fixture to your existing outdated one, making installation an absolute breeze. On the other hand, if you’re looking for a bit more of an upgrade to your existing features, don’t feel limited to those that feel familiar. Typically, these lights are easily interchangeable, and switching to a slightly different profile will hardly hinder installation. Another huge benefit to the bandwagon of LED lights; LED awning lights. 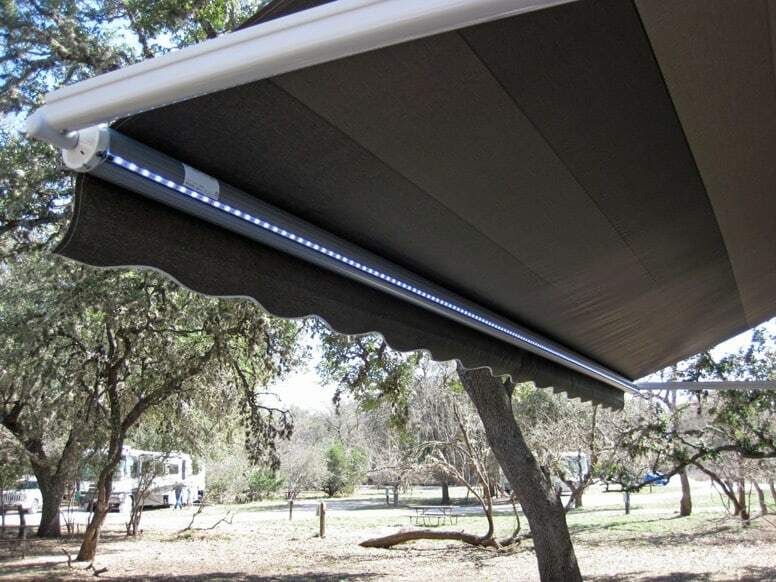 Whether you choose to purchase an LED system designed specifically for RV awnings or a simple waterproof LED strip to attach to your existing LED system, you won’t be disappointed. The clean, bright light of LEDs are perfect for an outdoor setting, and the extreme energy efficiency means more light when you’re off the grid, making these LED awning lights a camper’s dream. 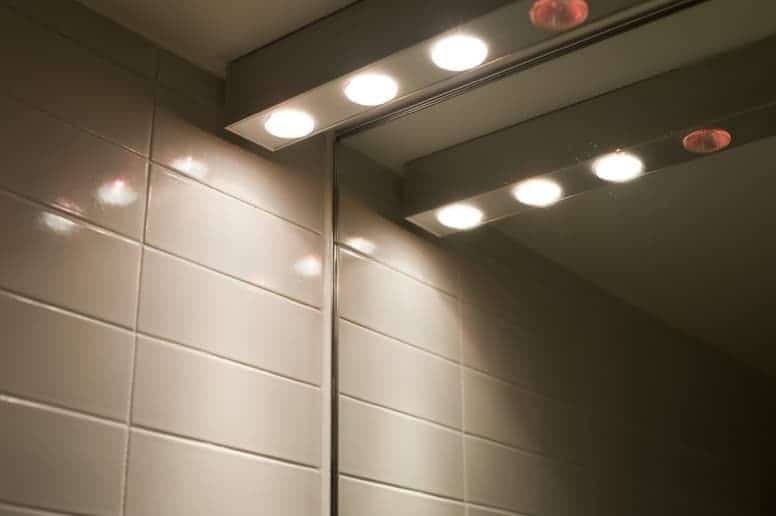 The beauty of LED light strips lies in their flexibility, not just the physical aspect, but in that these strips can truly go just about anywhere you might need light. Stick them to the interior of your kitchen cabinets, or maybe in the back of that dark storage closet, and instantly fill hard-to-reach spaces with immersive, bright light. The only real downside to these LED lighting options is the appearance. As they aren’t encased in a fixture, they can require a little creativity to hide from sight. This is why people typically only use these light options in out-of-the-way places, or in locations that they can be tucked away, such as lining the top of trim work. So, you’re convinced, you want to switch. But again, where to start? 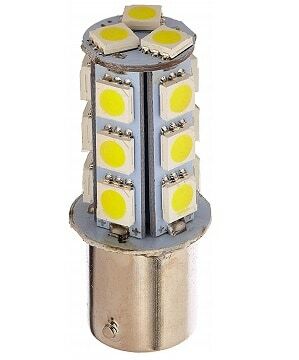 Lots of products seem incredibly similar, how do you know what to look for when buying LED RV lights? First, ask yourself what you need to replace. Are you going to overhaul your whole RV or just start with a few lights? Are you going to need multiple types of lights or just several of the same kind? Write down a general list of how many lights you’ll need of each type. Don’t put that paper away just yet, next you need to know the size of lights you’ll need. If you’re looking for straight replacements, write down the measurements of your existing features so you can look for ones that match. If you’re considering mixing things up with some different, new types of lighting and you’re not sure exactly what size you’ll want, it’s a good idea to remove your existing features and measure the size of the actual space you’ll need to cover with your new features. Sometimes, older fixtures will actually leave behind burn marks from the head of the outdated bulbs. If you find yourself in this situation, you can decide if they’re minor enough to be fixed with a coat of paint, or if they’re severe enough that your new fixture will need to be large enough to cover the burnt areas. As we’ve mentioned, LED lights come in a variety of color temperatures, typically indicated in Kelvin. 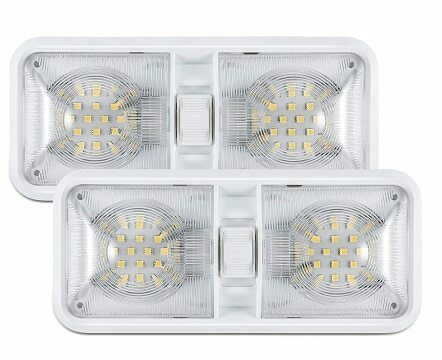 LED lights in the 2700-3000K range are considered “warm white” which is a softer light that tends to have hints of yellow rather than the pure white of higher temperatures. 3000-4000K LED lights, or “clean white” lights, are in the mid-range of color temperatures. These are a good balance between warm and bright, if you’re unsure what type of lighting is best for your space. “Natural white” or “cool white” reference LED lights over 4000K. These lights are extremely clean, crisp white and are ideal for task-oriented settings. This kind of lighting provides higher contrast than “warmer” temperatures, so in workplaces or kitchens, this may be preferable. LED lights may seem ideal for running on battery power because they consume so little energy, however, they do have one seeming flaw. 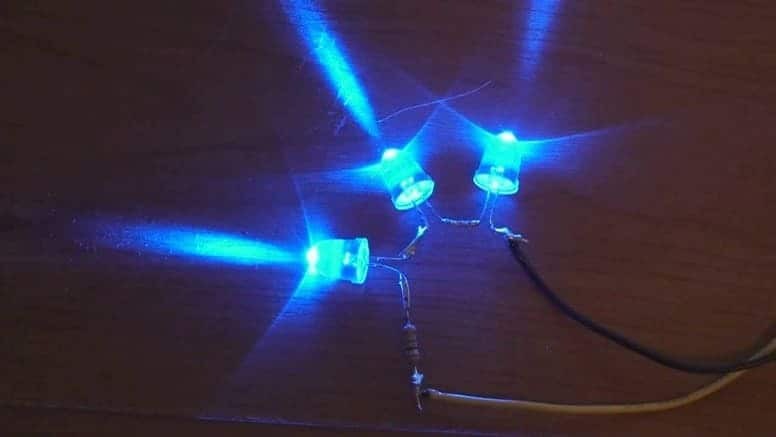 Most LED lights run on 12v-DC with an AC-DC transformer, that means that the voltage into these products cannot exceed ~13V without damaging the LEDs or even outright shorting and killing them. This can be an issue as most automotive electrical systems reach 15-16V when charging the battery, enough to blow your system. Guess you can’t use LEDs in an RV, right? Wrong! There are two simple solutions to this problem; either purchase LED lights designed for use in automotive systems with built-in surge protection that allow them to handle massive voltage spikes without issue, or you can purchase a voltage regulator. If you choose to purchase voltage regulators, as we would highly recommend, first you’ll need to know the total milliamps that you’ll need to support. This means you’ll need to purchase all of your LED lights prior to calculating the required voltage regulator. Once you have all your milliamps added, you’ll simply need to buy enough voltage regulators to handle the milliamps. For example, if you calculated a total load of 2,300mA, you’d need to purchase 3 800mA voltage regulators which, when wired together, would cover your entire system. You’ll also need to ensure that you have the proper amperage supply for the amount your LED system will draw. To do this, simply add up the amperage of all your fixtures. Congratulations! You’ve made the decision, you’ve purchased your equipment, but now, how to install your new RV LED light system? The final hurdle between you and an energy efficient light system: installation. Some RV owners find themselves stuck at this precipice. They’ve researched and compared products, and finally purchased the LED fixtures for their RV, where they sit uninstalled for months. For those of us that are less mechanically-inclined, replacing your lighting system is an extremely daunting task. Follow our simple, comprehensive guide to installing your RV LED lights and the only question you’ll be asking is why you didn’t do it sooner. Step 1) Turn off your power supply. If you’re looking for more excitement in your life, playing with live electrical wires isn’t the way to go about it. Many of us have had our forgetful moments and are fortunate to not have become human toast, but we think it’s better to err on the side of caution and avoid tempting fate. TURN OFF YOUR POWER SUPPLY NOW. Ok, now you can move on to step 2. Step 2) Remove light covers. Many lighting fixtures have caps that cover the actual bulbs. Some fixtures don’t require this step for installation, but again, let’s err on the side of caution and save ourselves the trouble. Each fixture is different, so removing the cover might take a bit of experimentation. Some you simply pinch inward from both sides and pull away, while others require a screwdriver to remove. If it’s not coming away easily, don’t force it or you’ll likely break the fixture. Step 3) Remove light bulbs. Lots of older light fixtures will have glass light bulbs, which you should remove first before removing the entire fixture. This is a safety precaution, as we’ve found it exceptionally easy for these tiny glass bulbs to shatter otherwise, and broken glass is the worst to clean out of the tiny nooks and crannies of an RV. So while this step might not be necessary for all fixtures, we’d rather be safe than sorry. Step 4) Remove the old fixture. Now it’s time to get that thing off the wall. Remove any screws that are securing it with a drill and DO NOT LOSE THEM! I cannot stress this enough, with any project, ALWAYS have a secure baggie or two to house all loose screws. This will save you massive amounts of time and frustration should one little screw decide to venture off. If your fixture has been affixed for a very long time, it might not want to come off that easily. If this happens, lightly pry the casing away from the wall so that it’s hanging by the wires. Step 5) Disconnect the wires. STOP. Did you follow step 1? Are you sure? Okay, go on. Before you disconnect anything, take a long look at the current wiring to familiarize yourself with where the wires connect. If you’re a beginner, it could be helpful to take a picture for reference when you’re trying to put it all back together. Once you have a firm grasp on the wiring to this unit, disconnect the wires by simply twisting them off the fixture, which should then fall away. Step 6) Connect new light fixture wiring. Take a look at the wires coming out of your new device. Figure out which one is the ground, this will typically be black, but consult the manual for confirmation. You should already have determined the ground wire from your previous setup, so you should be confident on connecting these. You’ll then need to twist together the wires of the fixture to those you disconnected from your old unit. If you don’t have enough live wire to do so, use wire strippers to the revealed extra live wire. Then, twist the ground to the ground (typically black to black) and the power to the power. Cap off your connections with wire nuts. Feel free to reuse the wire nuts from your old connection, but make sure to use separate wire nuts for your ground-ground connection and your power-power connection. If your wire nuts don’t feel secure, or if you just want extra peace of mind, you can use electrical tape to completely seal and bind these connections. Step 7) Turn back on your power supply. Ensure that nobody is touching any live wires, if you have multiple people swapping out units at the same time, make sure everyone is aware that the power is being turned back on. Do this step before putting the casing back on to avoid wasting time if your connection isn’t properly set up. If the power is on but your light is still not switching on, TURN THE POWER BACK OFF and try twisting your wires together more completely. It can be an easy mistake to see a non-functioning light and forget that the wires are still functioning, so DO NOT FORGET to turn the power off before messing with any live wires. Once you get the light to turn on, success! You can now proceed to step 8. Step 8) Remove new light fixture covers. In order to reach the screw holes in the new light fixture, you’ll need to remove the bulb covers. This will likely be very similar to step 2. Step 9) Screw in the new fixture. Most light fixtures will include the hardware necessary for instruction, but if not, consult the manual for the proper size and type of screws necessary. If your new light fixture is a different size than your old one, and even if it’s exactly the same, you might need to put new holes in your wall or ceiling to fit with the profile of the unit. When doing so, try your best to cover the old holes with the new unit for a nicer finished look. Step 10) Replace the fixture’s bulb covers. Snap back on the bulb covers and you’re good to go! Proceed to our final step. 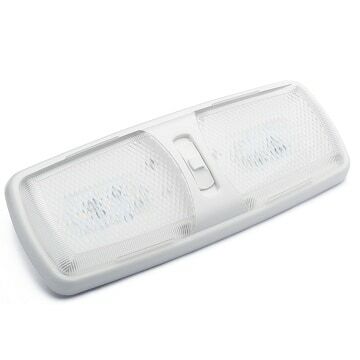 Step 11) Enjoy your new RV LED light system. Turn on your power and enjoy your new energy efficient light system. If you’ve made it this far, congratulations! It wasn’t as bad as you thought, admit it. And now that you’ve got one under your belt, the next 15 or so should be a breeze. Go forth and conquer. Wiring your LED lights to your existing light switches might seem like a complicated task, but in reality, it’s very simple. Since LED lights run on 12V, and your typical electrical system is much higher, you’ll need a step-down transformer or power adapter. These are very reasonably priced, and you can pick on up on Amazon or at your local hardware store for $10-$35. In order to purchase the correct unit, check your LED lights in particular. Make sure you know the voltage and if they run on AC or DC. You’ll also need to know if your LED strips have 4 or 2 wires coming off of it (If it’s three colors, you likely have 4 wires, if it’s one color, you likely only have 2). Then, you can purchase a transformer that will work for your specific setup. If you’re unsure, take your specs to a hardware store and ask for help, they’ll happily direct you to an adapter that will work with your LED lights and existing system. Never thought you’d be googling how to change a lightbulb, huh? Even the mythically long-lasting LED light bulbs will need replacing eventually, and doing so can be surprisingly confusing due to the totally foreign interface of LED bulbs. On the bright (hah) side, since a single LED light fixture is typically made up of dozens of individual LED lights, when a single one goes out, you typically don’t need to change it out right away, and can get by on the remaining several dozen LED lights. Eventually, though, they will need replacing. And we’re here to help you do it. Step 1) Identify the size, type, and color of the burnt-out LED light that needs replacing. Since there are so many varieties of LED lights and light bulbs, finding the exact same one can be a challenge. If you’re getting frustrated, just take the dead bulb into a hardware store, they’ll be happy to match it and help you find a replacement. Step 2) Read the manual. 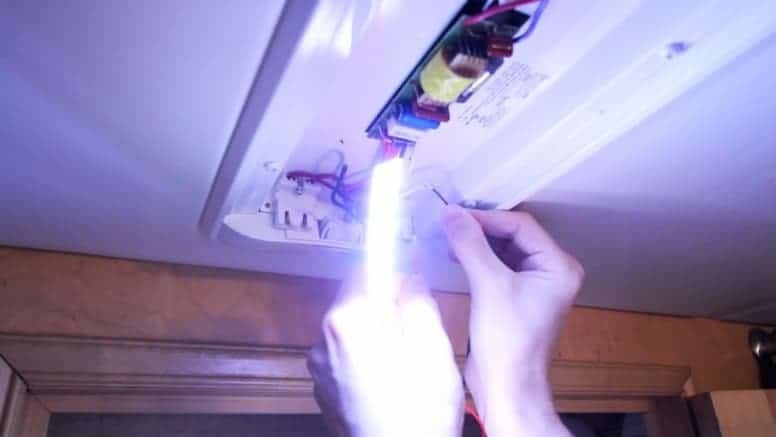 Each LED light has unique installation instructions, while some simply pull out of the socket, others twist or require other means of removal. This is important, read the manual and figure out how your specific bulbs should be removed and installed to avoid damaging them before their first use. Step 3) Remove the existing bulb. This can be tricky since they’re so small, and you’ll likely need a screwdriver to remove any casing covering the actual LED bulbs. DO NOT LOSE THESE SCREWS! These things are tiny and love to run away and hide forever, so keep a close eye on them and a safe bag to keep them in. Step 4) Replace the burnt-out bulb with your new bulb. Since you should be replacing with an essentially identical bulb, it should go in smoothly and without much resistance. If you do feel resistance, stop. Re-read the manual and make sure you’re not forcing it in incorrectly. Continuing to force it could break the bulb. Once it’s installed, turn it on before screwing the covering back on, to ensure that you’ve installed the proper temperature color and that the new bulbs are fully functioning. Step 5) If all looks good when you turn them on, it’s time to close up shop and call it a day. Screw any coverings back on and return any loose fixtures to their original place. You’ve just replaced an LED light bulb! Hopefully, you’re now feeling confident in your abilities to select and install your new RV LED light system. If not, don’t feel like you can’t consult a professional, there’s no shame in hiring an electrician to complete your setup. No matter how you go about it, your energy bill will be thanking you for years for making the change to LED. I am wanting to install smart lights ran by Google problem being that they are not set for 12v input, and the car systems are not comparable. I am working on building a showpiece stand. I do believe if I install these lights, they will look stunning. What do you think? Also, thanks for the amazing article!